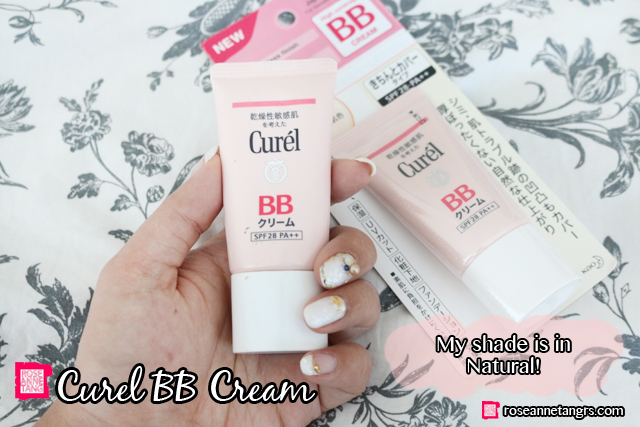 Today I want to share with you a BB cream that I have been madly in love with – it’s the Curel BB Cream! I have been using it for about a month now and I love how suitable it is for people with sensitive skin like me because of its great coverage and it’s technology that strengthens my skin against possible irritants. If you have sensitive skin, you’d know finding a good foundation or bb cream is a difficult task. If you have acne scars, most bb creams aren’t able to cover it up because they don’t have as good a coverage as liquid foundations. If you have dry and flaky skin, most bb creams aren’t smooth or creamy enough to look smooth over that particular area. Trust me, I’ve had problems in all those areas but finally, I really feel like there’s something that I can make my new go-to base! It’s suitable and gentle for sensitive skin because of its Ceramide Care technology that increases your skin’s resilience! Curel’s ceramide care technology effectively replenishes ceramide, an essential ingredient that sensitive skin lacks. It also boosts your skin’s natural barrier function and protects it from external irritation. This is seriously one of the best BB creams I have ever tried. Let’s take a closer look at it. The Curel BB Cream comes in two shades – Natural and Brightening. I’m about an NC30 and I’m in shade Natural. The shade fits me perfectly and I love how it’s on the warmer side. Most BB creams are actually on the cooler side which I don’t like because I end up looking super ashy. The BB Cream also comes in a nice and compact squeeze bottle that makes carrying it on the go (like for after workouts) super easy. 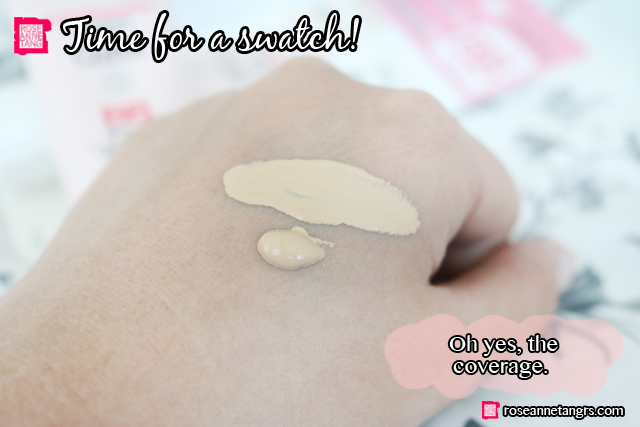 Here’s a swatch! 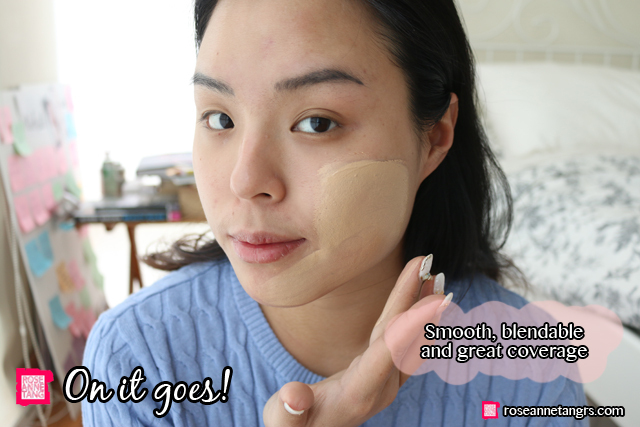 You can already see just how creamy and smooth the BB cream is and a little glimpse at the amazing coverage it has! I would say because of the consistency, a little goes a long way. Well, let’s put it on first! This is me being bare-faced! You can use a brush or your own fingers for this. 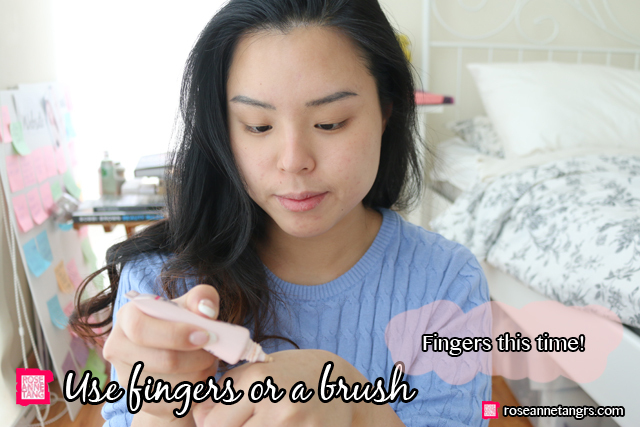 Usually for BB creams, I do like to use my fingers as it maintains the coverage better but using a brush would be quicker. Here’s a little face swatch. As you can see it goes on real creamy and smooth and all my acne scarring is disappearing instantly. It feels like a creamy mousse to touch and really does not feel heavy whatsoever. How flawless do I look? I don’t even need concealer anymore! The best thing is, I really don’t feel like it’s too thick on my face at all. It is not oily or sticky but instead gives me a semi matte finish! 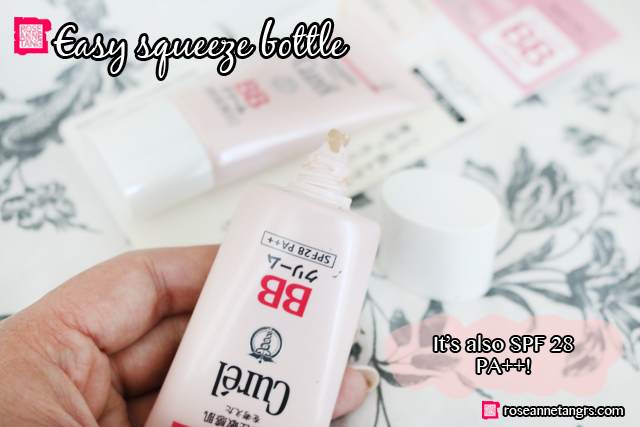 Overall, you must check out this BB Cream. It looks unsuspecting, but it truly is amazing and I wear it every single day. I also love how long it lasts on me. 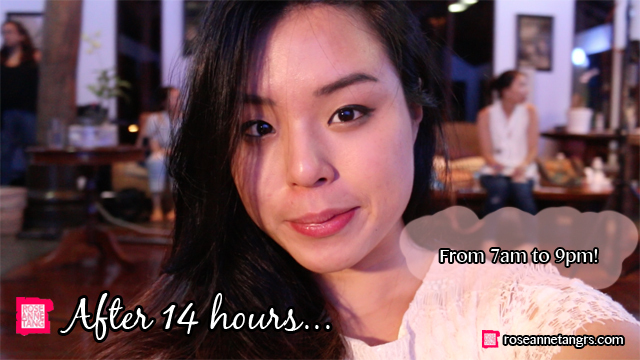 This picture was taken after 14 hours (seriously and also I was in the Philippines when I took this picture) and it still looks really decent for 14 hours!! 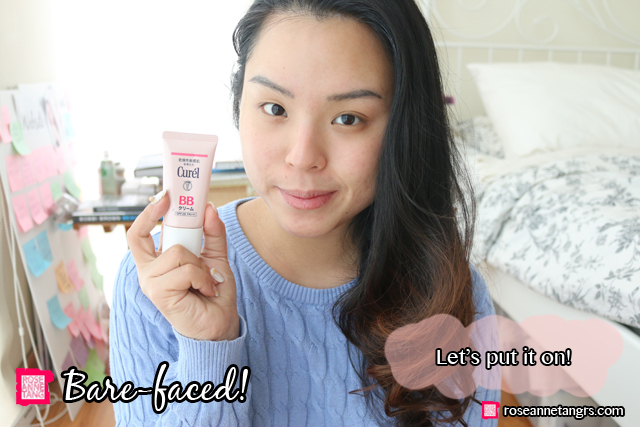 I used it in my Day in the Life video and a lot of you asked what I was wearing and it’s this BB cream! I would say it is also very heat resistant! 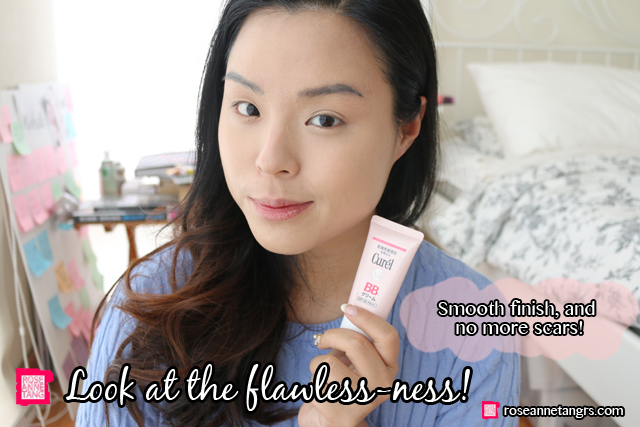 If you’re looking for a bb cream and you have sensitive skin, this is surely something to check-out. Whereas other BB creams often don’t have enough coverage and look ashy, this has amazing coverage and is on the warmer side. Whereas other BB creams look horrid around dry and flaky skin, this is smooth blending and creamy and looks great even in those areas. Lastly, it’s made for sensitive skin! A solid pick, indeed. Thanks so much Curel for sponsoring this review. I really love this stuff! 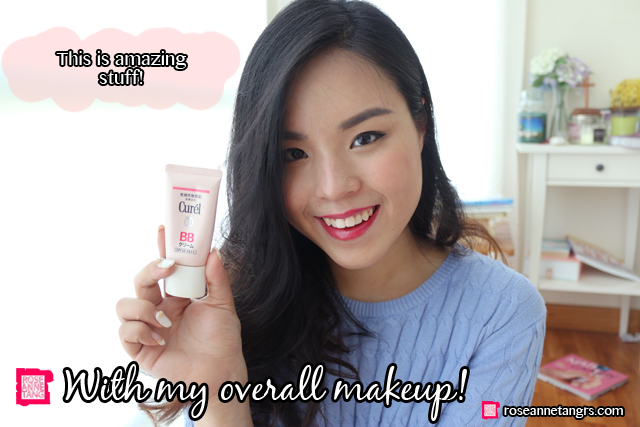 If you’d like to try it for yourself, you can redeem Curel BB Cream samples here and get more tips and info on the Curel facebook page at https://www.facebook.com/curel.SG and their website at www.curel.com.sg! The NEW Bloom By Roseanne – Location, Classes and more!